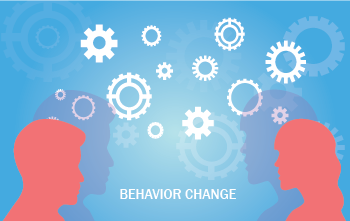 Behavior change is difficult. Whether it is exercising more, eating healthier, or better managing blood pressure, attempts to change health-related behaviors often fail. But some individuals do successfully change a behavior and stick with it for the long term. Extensive research has identified the factors that contribute to sustainable health behavior change, and these best practices have been incorporated into the ConXus Platform. An early model that has been widely tested in health settings is the transtheoretical model (TTM), which identifies where an individual is in the 5-stage change process: precontemplation, contemplation, preparation, action, or maintenance, so that interventions can be tailored to the stage of change. An individual who is in precontemplation, for example, may require education on the risks and benefits of a change to gain the motivation to move forward. Whereas an individual who is in the preparation stage may need help creating an action plan for setting small, achievable goals and overcoming obstacles. The Fogg Behavior Model3 identifies three elements that must be present at the same moment for a behavior to occur: motivation, ability, and trigger. Research demonstrates that greater success is achieved by starting with a very simple change that requires limited ability (time, money, or effort) and associating that change with a trigger (cue or prompt). As the individual repeats the action, gradually building in quantity or intensity, a healthy habit develops that becomes part of daily routine. ConXus Profile Health Risk Assessment utilizes TTM and the first three steps of the Change Sequence. The assessment questionnaire identifies an individual’s health risks and stage of change, then uses this information to deliver a personalized report that creates awareness, enhances motivation, and facilitates learning. Health assessment results are also used to recommend health improvement plans and, where offered, to direct participants into coaching programs. ConXus Steps Health Improvement Plans utilize TTM and all steps of the Change Sequence. In the first week, each plan identifies an individual’s health risks, stage of change, motivators, and barriers. This information is used to personalize the 8-week plan to meet the individual where they are, help make a positive change, and progress toward the next stage. Online alerts, reminders, and rewards prompt action and celebrate success. 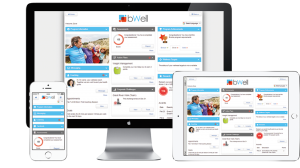 Health improvement plans can be completed as self-learning modules or as part of coaching interventions using ConXus Direct Health Coaching System. ConXus Connection Challenges adopt the Fogg Model by focusing on one small behavior change. In a challenge, the participant repeats the same simple daily action, such as adding more steps or eating extra vegetables, for a number of weeks to develop the healthy habit. Alerts and reminders trigger action, peer groups provide support, while team leader boards and progress charts enhance motivation. Prochaska JO et al. Enhancing multiple domains of well-being by decreasing multiple health risk behaviors: a randomized clinical trial. Population Health Management. 2012;15(5). Elwyn G, Marrin K, Frosch DL, et al. Sustainable change sequence. European Journal for Person Centered Healthcare. 2013;2(2):212-216.